Kevin Mitnick was the most elusive computer break-in artist in history. He accessed computers and networks at the world’s biggest companies–and no matter how fast the authorities were, Mitnick was faster, sprinting through phone switches, computer systems, and cellular networks. 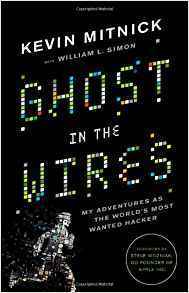 As the FBI’s net finally began to tighten, Mitnick went on the run, engaging in an increasingly sophisticated game of hide-and-seek that escalated through false identities, a host of cities, and plenty of close shaves, to an ultimate showdown with the Feds, who would stop at nothing to bring him down.